I have posted my fall picture. I find it hard to leave summer behind and head into Fall. I miss the warm summer days, wearing shorts and flip flops and grilling outside. In an effort to prepare and "embrace" this coming season, I have painted a fall picture! I am going to buy some mums, apple cider and change the yankee candle scent from "summer lake" to something more fallish....any suggestions? 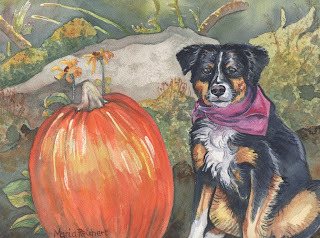 The watercolor of the week involves an Aussie puppy and a pumpkin. Ok, it was no small feat to get this photo taken. There was a lot of sniffing of the pumpkin, and a view of the wrong side of the puppy. 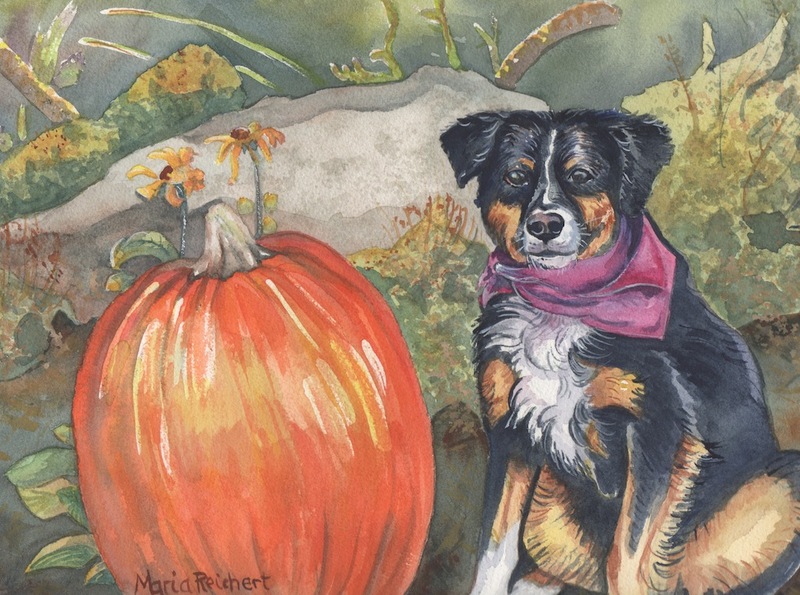 And if you know the Australian shepherd breed and how they like to use their paws, we went through the "punching" of the pumpkin stage. Once she finally sat still and I got my picture, I found it to be the perfect fall photo! I found the painting challenging as well, the dog part was easier, (thanks to canine anatomy class), but I am very challenged by flowers and landscaping and backgrounds. Any tips here would also be appreciated. Ok, my painting of the week has been accomplished, so I am thinking maybe painting some of the race horses from the photos from The Little Brown Jug next. Put this on a greeting card! 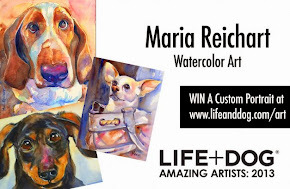 I like that idea...do you send your paintings to a printer to do greeting cards?